Choosing a health career involves more than just doing something fulfilling. Other considerations are how employable you will be once you finish your education and prepare to enter the workforce. Failing to consider which health careers are most competitive can make finding work in your chosen field a major challenge. Even though you may have some strong skills relevant to the health career you want, the job hunt could still be a long and difficult one. It isn’t to say you shouldn’t pursue your dreams. But it does mean you need to think ahead of the job prospects. You may need to make plans to really ensure you’re employable once you’re ready to search for work. It’s also important to note that where one country or region might have a high demand for a health career in an area such as dentistry – the UK for instance – others such as the United States have highly competitive regions. Current dentists have long waiting lists in the UK and there is a need for more dentists. In the United States, dentists often have to use marketing tactics to entice new patients, making it more challenging to set up a practice. 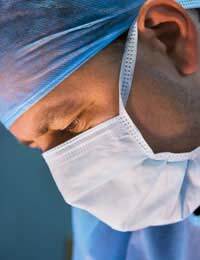 Plastic surgery is generally one of the most – if not the most – competitive fields in surgery. In fact, the profit potential is high enough that even general physicians and spa practices offer services in the plastic surgery realm. These include Botox injections and other minor appearance modifications. The income potential for a plastic surgeon is enormous but patients are often very choosy. Starting and establishing a practice is one of the challenges because patients will want to see previous cases of your work and feel confident in your experience. A large component of plastic surgery will be marketing your practice, helping you to show an advantage over other plastic surgeons. Research positions remain very competitive despite the fact they tend to pay low, particularly for entry-level researchers, and require dedicated hours. Often, a person will spend years to obtain their doctorate in a particular field, only to find that they are competing with huge numbers of similar applicants. An advantage you can gain here is to spend time in practical placements, whether voluntary or paid. This can make a big difference in helping you start your job search with some experience already in place. The project management and communications sides of healthcare are generally very competitive. This relates to the level of responsibility as well as the typically high salary and bonuses paid at this level. Positions in hospital or private healthcare management can be particularly high-paying, often attracting international applicants as well. Since the backgrounds of applicants can range from the life sciences to business – or both – there are many people who will apply for these positions. Your advantage will usually be to show graduate-level work in business, with undergraduate work in either business or the life sciences. Significant experience will be key to differentiate you and help support your success as well. As with many health careers that are regulated, you do, of course, need the right education in addition to any mandatory placements. But to go beyond other applicants, personal qualities relevant to the job combined with experience – voluntary and paid – can put you in the lead. Perhaps most important of all is to have a positive attitude and confidence in your abilities to best perform your health role.